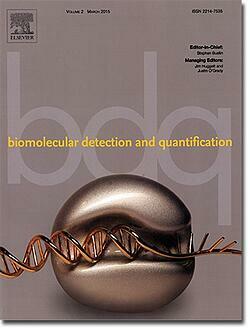 BDQ was launched as a venue for improving and innovating methodologies of molecular measurement. This journal’s primary focus is to provide a forum for the debate and reporting of best practices for the design, execution, and data analysis of qualitative and quantitative methods of molecular detection. The impetus for its creation comes from the need to improve the uniformity of scientific practices and the transparency of data reporting. This scientific goal is reflected in the pedigree of the journal’s editors. Many of the scientists on the editorial board were instrumental in the creation of the MIQE guidelines (Minimum Information for Publication of Quantitative Real-time PCR Experiments). These guidelines are presented in series of publications, which delineate the best reporting methods for qPCR experimentation as well as more novel quantitative PCR applications, such as Digital qPCR (dPCR). These MIQE guidelines now serve as the benchmark for reporting of qPCR data. The introduction of this new journal is a welcome home for researchers who are looking to champion the cause of excellence in molecular quantification and analysis. Find out more in the journal’s guide for authors.